adidas has announced the launch of the Messi 10/10, a super limited edition boot with just 100 pairs produced worldwide. The release marks the start of a new tradition of collector’s edition Messi boot launches, which will drop every October 10th. 89 of the 100 pairs will go on sale for one day only on October 10th, ten pairs of the Messi 10/10 will be sent to the players recently named as the members of the adidas Backed by Messi campaign and the final pair will of course go to the man himself. Lionel Messi is the greatest number 10 in the history of football, with four Ballon d’Ors to his name and a fifth one firmly in his sights. The release marks the start of a new tradition of collector’s edition Messi boot launches, which will drop every October 10th. For fans looking to get their hands on one of adidas’ most desirable releases ever, 89 of the 100 pairs will be on sale for one day only, on October 10th, exclusively at the adidas store in Barcelona. Each pair will come with an embossed premium leather tag featuring the serial number for that pair within the 100 made, the first time adidas Football has released a boot with this unique identifying mark. Of the remaining 11 pairs produced worldwide, one pair will of course go to the Argentine maestro himself. The final ten pairs of the Messi 10/10 will be sent to the players recently named as the members of the adidas Backed by Messi campaign. 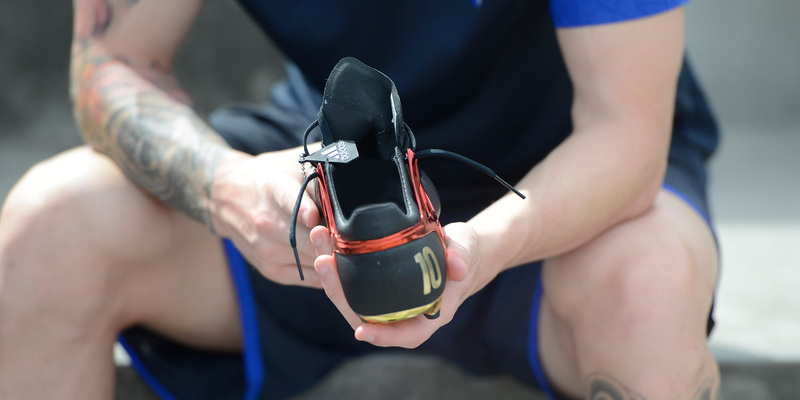 The Messi 10/10 boots are designed to celebrate Messi’s reinvention of the number 10 role in football, with his iconic shirt number set on the heel in real metallic gold. 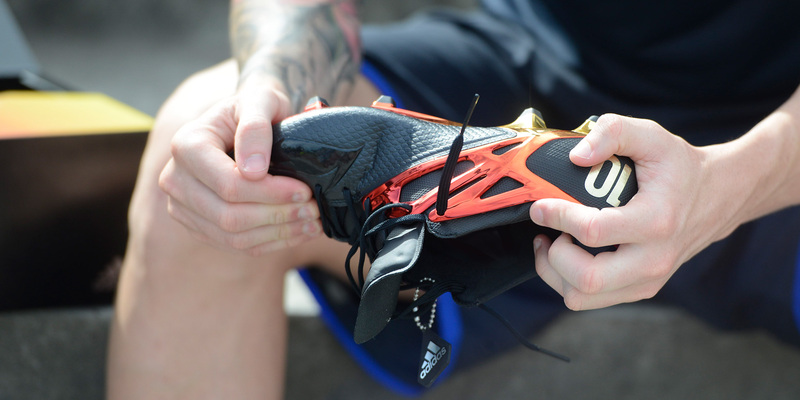 The upper of the boot is a premium black with the unique Team Messi logo embossed across the forefoot. The signature MessiFRAME and GAMETRAX are picked out in electroplated gold and deep red, embodying the luxurious football for which Messi is famous. 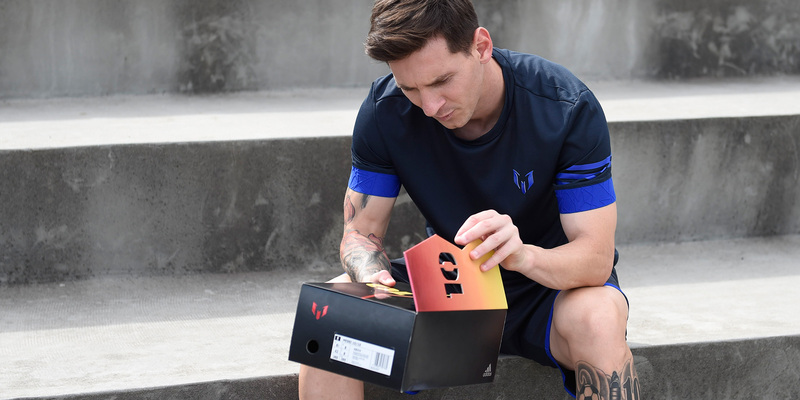 The collector’s boots will only be available in an exact replica of Messi’s size, 8.5. 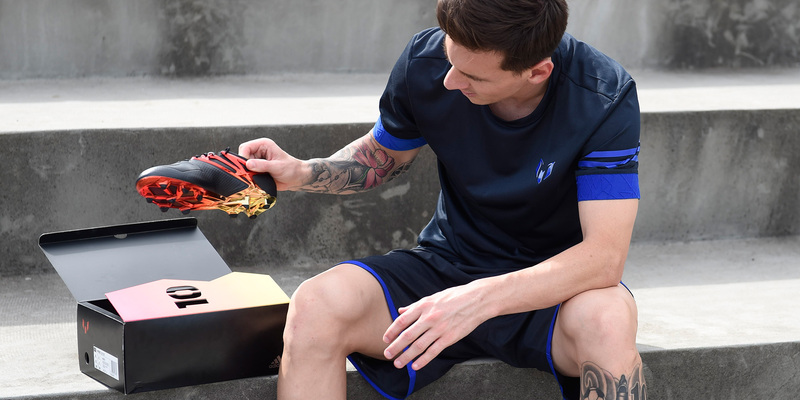 What do you think of the new adidas Limited Edition Messi 10/10 Football Boots? Let us know in the comments section below or on our Twitter and Facebook pages.